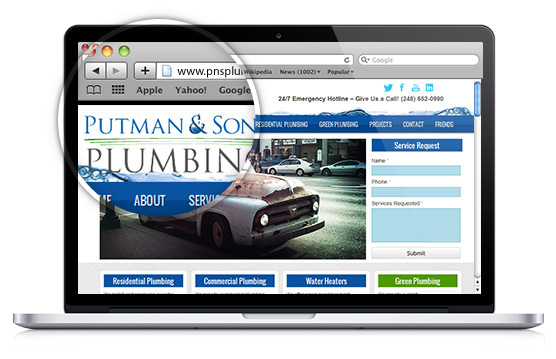 Started in 1985, Putman & Sons Plumbing was founded by none other than Ralph Putman. Ralph was a pipe fitter and master plumber for General Motors at the time, but soon chose to go into business for himself as more and more friends and neighbors were requesting his services in their homes and businesses. He hired a team of fellow plumbers and also trained his sons, Mark and Brent, to be experts in the field. They are both still with the company to this day, and continue to do both commercial and residential plumbing work in the metropolitan area. P&S Plumbing are quick, affordable and treat their customers like they were one of their own. Visit their new website, or give them a call today. They’ll have you leak-free in no time!